This cover comes with a built-in screen protector, wich is one of the reasons I bought it. It feels really study, so I feel safe for my tablet. The charging, earphone and microsd ports/slots are covered by flaps, so dust won't get in when they're not in use. It also has a kickstand in case you want it to stand to have your hands free. Putting the cover on and taking it off is pretty easy. If you're having trouble putting the case on, the package comes with a paper that has a link to a video on how to use it. If you've ever used a Poetic Revolution Heavy Duty Protection Hybrid case and loved it, you should love this case too. It is a great investment. What a bang for the buck! 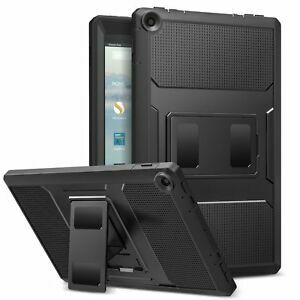 I know my daughter is very careful with the tablet, this case ensures extra security! She is able to maintain a grasp (rather than just of tablet itself) and she loves the stand feature! Great for adults & children, too! 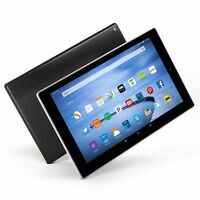 Best value money can buy for your tablet! 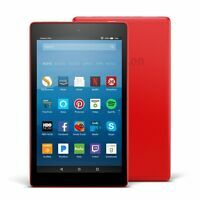 Really this is a prefect fit for the 2017 Amazon Fire HD, the 2017 model has positioned the MIC is a different place and the older model won't fit it. The plastic seems to mold better to this unit and the flaps that cover the buttons, slots and power cord opening fit very well. Camera hole fits well, but I noticed you can see the tablet around the camera hole so I don't know how well this would be around water. Screen protector is nice quality, but attracts lint and finger prints, but you'd get that on the screen anyway, and it seems to clean up well. I can't speak to the "drop" protection of the case, but I like how it feels solid, quality build, easy to hold and makes viewing the tablet on a table much easier with the build in stand.